Alex Arias and Tyler Isaacs make up both halves of the Fream Collective. 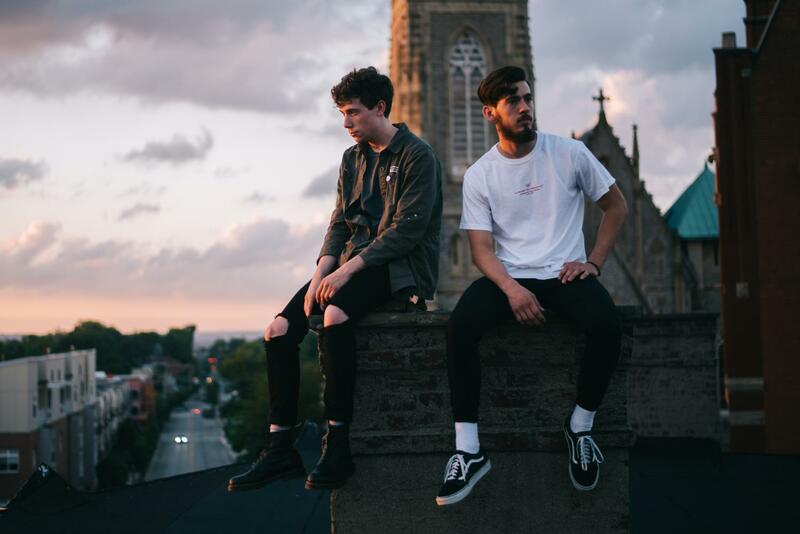 Both said they could see themselves staying in the Greater Cincinnati area post-graduation, citing its growing art scene. Moving through six different projects, the Fream Collective is a product of two students' love for creation. Tyler Isaacs turned a black ‘dad’ hat in his hands, running his thumb over the back strap, which is dipped in faded grayscale paint. It completes the otherwise simple design; fream–the name of the apparel brand he created with fellow student Alex Arias–is printed on the front in clean typeface. It’s a name that Isaacs and Arias, both halves of the Fream Collective, coined after frustration. The two flipped through an old magazine before landing on the term. Fream; noun (US 1950s slang). Referring to social outsider or misfit. The hat was released over a year ago–last May–and six projects followed. The tie that binds their body work lies in their namesake. Both visual communication design majors, they’ve now released an array of apparel ranging from hats to beanies to long-sleeved sweat-shirts and classic tees. Inspired by vintage aesthetics, the pair said a lot of their clothes revolve around the concept of taking a basic garment and tweaking it. 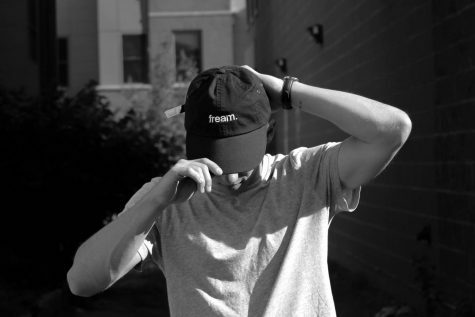 The concept of Fream began with a simple “dad’ hat. From there, they grew both their breadth. Arias grew up in Independence, KY while Isaacs grew up in Campbell County. Initially enrolled at the University of Cincinnati, Isaacs transferred to NKU’s design school where he met Arias, who didn’t declare his major until the end of his freshman year, in a design class. If one were to see each in a car, they’d seemingly have completely different vibes. Arias listens to the likes of Tame Impala and the Black Keys whereas Arias delves in the underground hip-hop scene. The cross-section of their interests and personal styles creates space for their creative partnership, one that both said felt natural. Project two began messily. They were ruining shirts left to right in the white-walled lab where they experimented with a tie dye pattern that spilt down the middle; one side is a steely blue that slides into a pearly white. It’s the process that produces a tangible concept that they love, Arias said. When they first began project two, they said they were ruining shirts left and right. The process of screenprinting isn’t as glamorous as some may think, Isaacs said. The finished product is minimal with an edge. But Isaacs doesn’t want their brand to be stuck in singular aesthetic. With each new design emerges something unexpected and new, be it the bright orange color of project three with black patterns that twist around the hip or the mesmerizing, warped circular lines of project five. 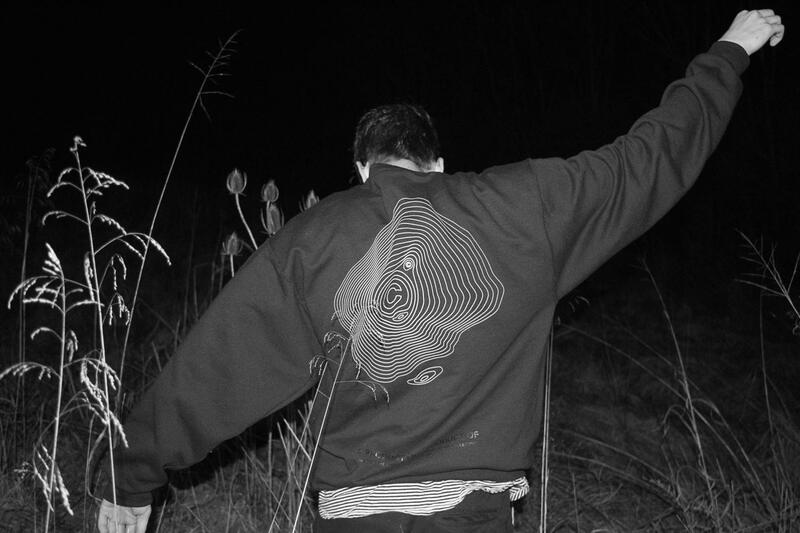 The concept–which produced both a black sweatshirt and white t-shirt–is one that parallels Isaac’s own artistic philosophy. Though he’s inspired by artists before him, he said he takes inspiration and builds upon it. 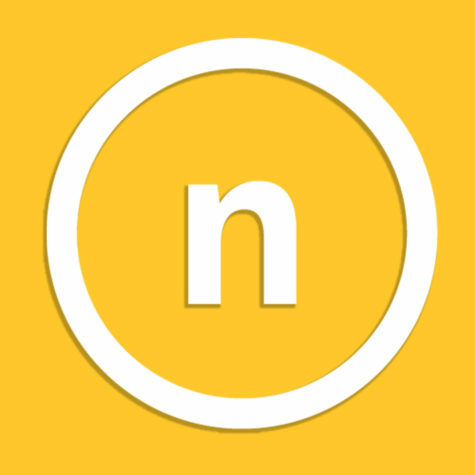 The idea of the fifth project was coined "Product of a Product." It's warped design was released in another wave as a white t-shirt with red print. Their most recent project was their first collaboration with another artist, Brendan Houston, a design student at UC that specializes in American traditional tattoo designs. The tee features a snake entwined around a bold cerulean six. Within the network of artists at NKU, Isaacs said most people they know are down to collaborate or help one another out. 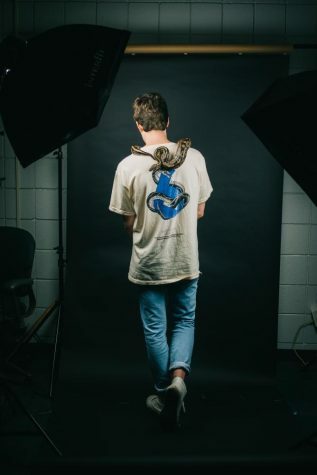 Whether it means working with Samuel Greenhill, a photography student, on presenting their product or borrowing a girl’s snake to pose with for project six. Work spread across the table and even on their laptops (the outward, warped design of project five is placed as a sticker next to a Supreme one) Isaacs lifted a shirt and explained the stitching, which he’s beginning to learn to do. His grandmother has been sewing the tags on so far. If your grandma needs a job, Isaacs said, the Fream team can help her out. For project six, they met with Brendan Houston over coffee a few times before deciding they should combine their skills: tattoos and t-shirt design. Some of their apparel was screen-printed (a process that Isaacs said isn’t as glamorous as some assume) in Lab 102. Others are created in Over-the-Rhine at We Have Become Vikings, a design company. “Everything we make off of a project goes right into the next one,” Arias said. 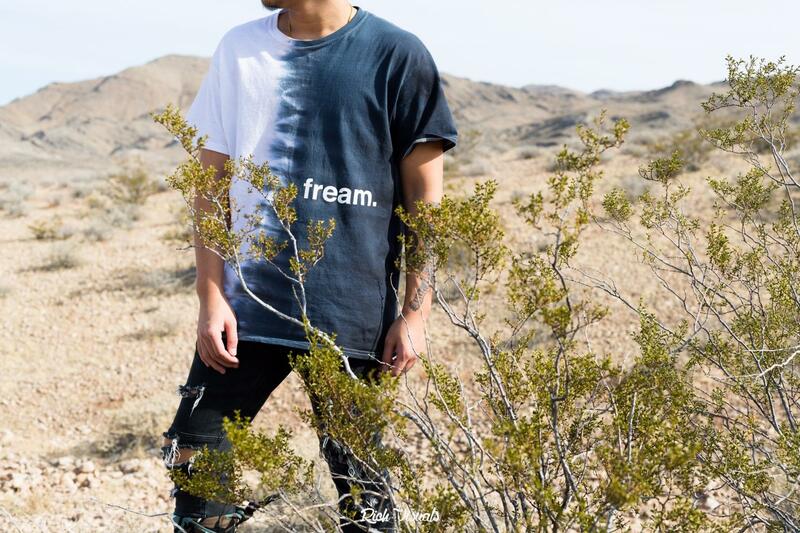 Ultimately, Fream Collective is a collaboration between two design students who love to create for creations’ sake. The reward of people actually wanting to wear their art is the cherry on top, Isaacs said. In the future, the pair hopes to continue their efforts post-graduation and see where it takes them. Isaacs teased their next project, saying it has a vintage racing theme that allows them to experiment with new typeface and imagery. A zine, which is a small self-published booklet, is also on the horizon, along with a collection of simple shirts in three different colors with tags that Isaacs said will be sewn with love by his grandmother. Peep Fream Collective’s website here. Check out their Instagram here and scroll through their Twitter here.